The sleepy-eyed Republican candidate predicted if the next president protects LGBT rights, you can "say goodbye to America." During a rambling interview on a Catholic TV show, monitored by Right Wing Watch, retired neurosurgeon-turned-presidential candidate Dr. Ben Carson dismissed transgender civil rights as “garbage” and “silly,” before repeating his warning that marriage equality could lead to the legalization of polygamy and the destruction of America. 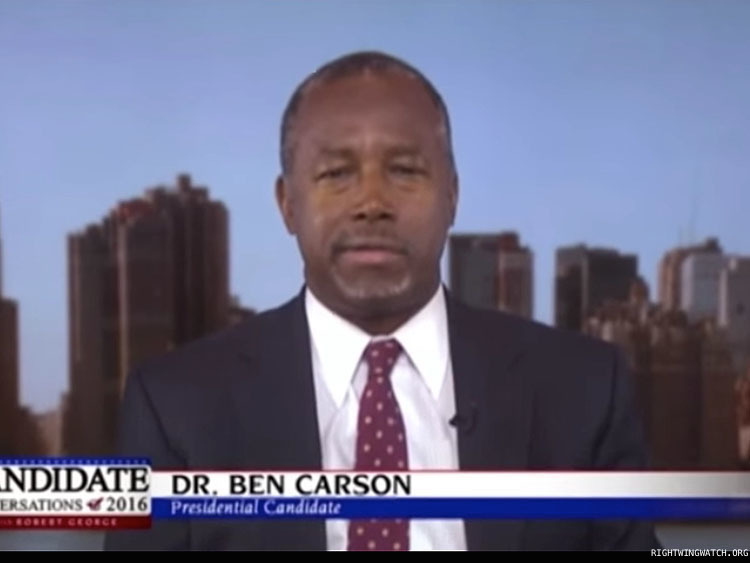 “We are absolutely destroying ourselves because we are paying attention to political correctness,” Carson told Matthew Franck of the Witherspoon Institute (a right-wing think tank backed by the anti-LGBT Family Research Council) on Catholic TV network EWTN.